A hand laminated rubber boot, bonded to a neoprene lining and upper, for the ultimate in warmth and comfort. 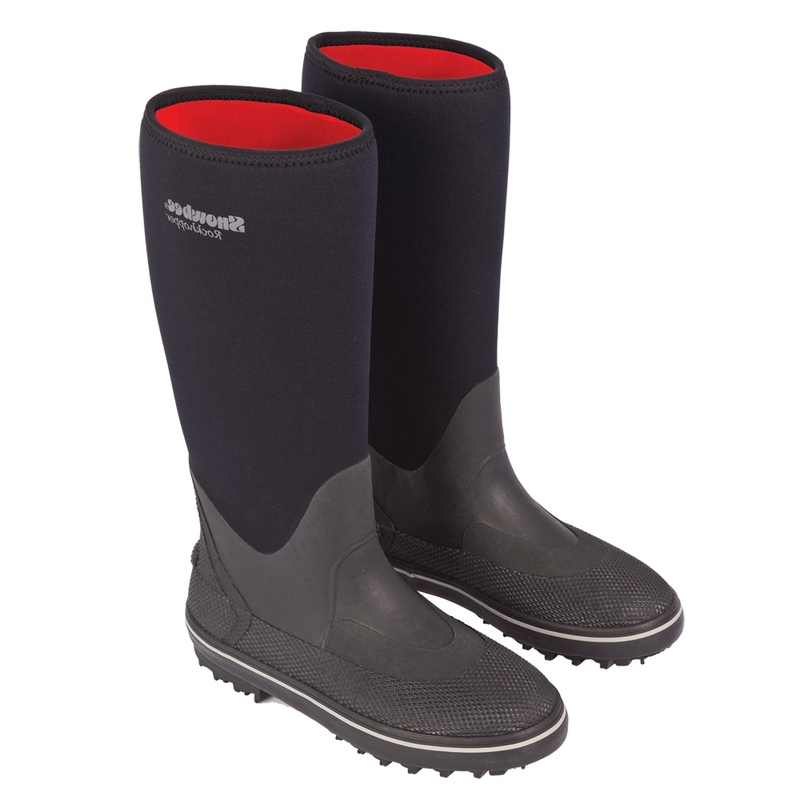 Add Snowbee's famous ‘Spike-Sole’ and you have the ultimate boot for any occasion where deep wading is not required. 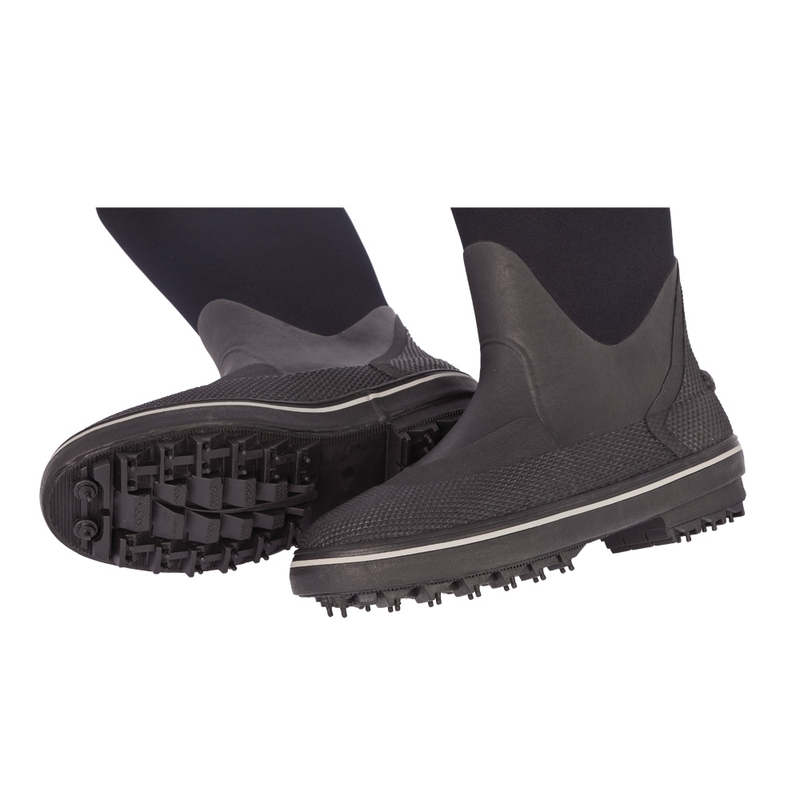 The spike sole consists of hardened steel spikes, set between deep rubber ‘cleats’ so they are able to ‘flex’, which is what gives them their outstanding grip. We haven’t yet found a surface this sole will not grip on – even ice! Black with grey trim and red lining. The Spike Soles on the Granite Neoprene Waders and Rockhopper Boots grip on literally any surface.